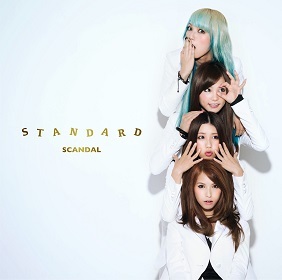 Standard is the fifth album of SCANDAL. A bit different with colorful cover from previous album, Queens are Trumps, this album is using simple yet elegant white theme. Three strong songs from previous Single are incuded in this album : Awanai Tsumori no, Genki de ne, Kagen no Tsuki, and Over Drive. 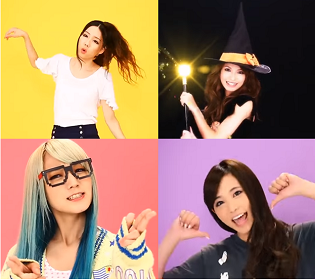 Three of them can be previewed from SCANDAL4VEVO YouTube channel. This album ends with the crazy-wild-funky rock song Standard with lead singer Sasazaki Mami, and Haruna Ono says some random English. For limited edition will come with DVD including music video of Awanai Tsumori no, Genki de ne, Kagen no Tsuki, and surprisingly rap song describing each of SCANDAL's members : SCANDAL in the House.